Does Filing A Chapter 7 Look Worse Than Filing A Chapter 13 On Your Credit Report? No, it does not look worse. Regardless of which chapter of bankruptcy you file for, it will still stay on your credit report for ten years. But the real question is what kind of a long term effect will the filing of a bankruptcy have you? This is the much more pertinent question, and I want to answer that right now. Filing a St. Louis bankruptcy can be a difficult decision to face. Even under the best of circumstances, your stress level can be through the roof. This in turn can have a tremendous impact on your family life, your job situation, and even personal relationships. Hard economic times affect all aspects of your life. But a St. Louis Chapter 7 is designed to eliminate this pressure, and put you back on the path towards financial wellbeing. Such a filing will discharge all of your unsecured debt (like credit cards, medical bills, payday loans, etc), stop wage garnishments, unfreeze a levied bank account, and put an end to any lawsuits filed against you. Keeping your assets, like a car or house, is also possible (along with all your other personal property, like clothes, appliances, jewelry, etc). A St. Louis Chapter 13 is a repayment plan in which you pay back certain creditors over a three to five year timeframe. Things like tax debt, back child support, car loans, and the amount you have fallen behind on your house (i.e. mortgage arrearage). But the goal in a Chapter 13 is pay out only the minimal amount necessary to your unsecured creditors (while discharging as much as possible). Either way, the filing of a bankruptcy will result in what is called a “fresh start / clean slate”. This is how the court describes the outcome of your bankruptcy. It is a chance to start fresh in life with a clean slate. Your chances to rebuild your credit score and/or rating will be immediate; your ability to secure a new loan will be available; and your chances of reaching your financial goals will be there for the taking. 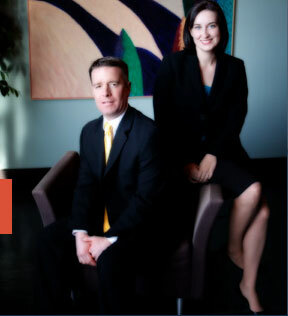 The affordable St. Louis bankruptcy lawyers at Brinkman & Alter, LLC have been making sure our clients are taken care of completely for over ten (10) years. Our goal is to get you on the right path, get your debts wiped out, and do it all at a cost-effective price. We have two locations: in the Central West End, at 1 North Taylor, St. Louis, MO 63108; and in the Twin Cities of Festus / Crystal City, at 1000 Truman Blvd (Highway 61/67) 63019. The initial consultation is free of charge. So contact us today to learn more! !